there are few barriers to sizes and shapes that differ from traditional HDDs. This has led the industry to develop the M.2 SSD form factor configuration, which is essentially a small card with a tiny edge connector. M.2 was formerly known as the Next Generation Form Factor, which in some ways says it all. The M.2 replaces the mSATA form factor, which is considerably larger. It is a much better fit for tablets and small computers, and was designed from the ground up to support double-sided configurations. This gives it a big edge in packaging density over its single-sided predecessor. The specification for the M.2 SSD form factor allows for a variety of standard widths and lengths. The industry seems to have settled on a width of 20 millimeters (mm), and lengths from 30 mm to 110 mm. In use, the edge connector on the M.2 module is inserted into a connector parallel to the motherboard and a screw at the other end of the connector holds the board in place. That's pretty simple, and inexpensive. The M.2 connector supports four lanes of PCI Express (PCIe) 3.0 bandwidth, or alternatively a single SATA or USB 3.0 connection. PCIe 4.0 support is in the pipeline. This is plenty of raw bandwidth to keep up with the fastest SSDs. M.2 NVM Express (NVMe) drives are appearing on the market, supported by a number of announcements at the recent 2016 Flash Memory Summit. These complement the SATA drives that have been available for some time. The M.2 SSD is smaller than 2.5- or 3.5-inch SSDs, and the size difference is reflected in the total storage capacity. The largest M.2 currently available is 1 TB, but the announcement of 100 TB 2.5-inch SSDs at the Flash Memory Summit reflects what will happen in the M.2 SSD form factor, where drives of 10 TB or greater should appear in 2017. That's a huge amount of capacity in a drive that is equivalent in size to a stick of gum. Even three years ago, buyers paid thousands of dollars for full form-factor PCIe flash drives, but Intel's 1 TB M.2 NVMe drive still has a list price of only $359 as of this writing. That's not much more than the cost of a 960 GB SATA SSD ($250), and NVMe drives are much faster. To accurately predict where this will likely take us, it's necessary to address host support. Motherboards are coming to market with on-board M.2 PCIe slots, but these are split between two-lane support good for SATA drives and the four-lane connector needed for NVMe. Driving this change in motherboard technology is chipset availability, which is just appearing from Intel, with American Micro Devices (AMD) somewhat behind. As an alternative, there are adapter cards that can convert a standard PCIe slot to M.2 and then mount the drives. The cost of making either PCIe or SATA drives is almost a wash. The low price (and smaller drives can be had as low as $69 list price) and performance in the 100K IOPS to 150K for the 1TB drive blows away any use cases for enterprise 10K rpm hard drives, especially as the 3D NAND technology used in SSDs is expected to get much denser and cheaper within a year. The cost of making either PCIe or SATA drives is almost a wash. When we look into the future, the price gap compared to commodity SATA SSDs will shrink, raising the question of the need for two product classes. A good price war, which may occur in 2017, could flush that, though. With a 10 TB+ M.2 SSD NVMe drive, there would be a product that hits the sweet spot for servers. That raises the size issue. Putting 12 M.2 drives in a server could be done with a 1U server, as opposed to today's 2U offering. That doubles server density in the rack. Certainly, we lose easy removability, but the need for drive caddies has become an urban myth in these days of appliance-level integrity systems. "But wait!" as the TV salesman says. Someone will likely invent a way to mount drives on edge, which would give us a wedge of 12 drives perhaps just 60 mm wide. 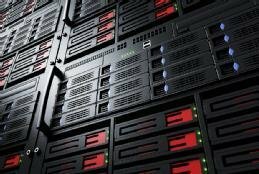 Now, that server can be just half the width, or even smaller, and perhaps even high-density micro-servers such as HPE's Moonshot can mount a stack of high speed drives. The small M.2 SSD form factor looks like an ideal match for these new server designs and should lead to even more compaction of the footprint. Bear in mind too that M.2 also offers PCIe support for all sorts of server functions, including LAN connections. With the ability to design servers with a variable mixture of 100 GbE RDMA ports and NVMe drives, the hyper-converged system in 2018 may be much more powerful, have higher storage capacity via M.2 SSDs and much higher bandwidth. What will M.2 SSDs need to get you to use them in your organization's IT structure? I believe this will change the size of server rack soon. I remember the days of the huge mainframes. Compared to today, server rooms and racks are much smaller even in huge enterprise environments. This will also force switch, router and DVR manufacturer to go smaller as well.